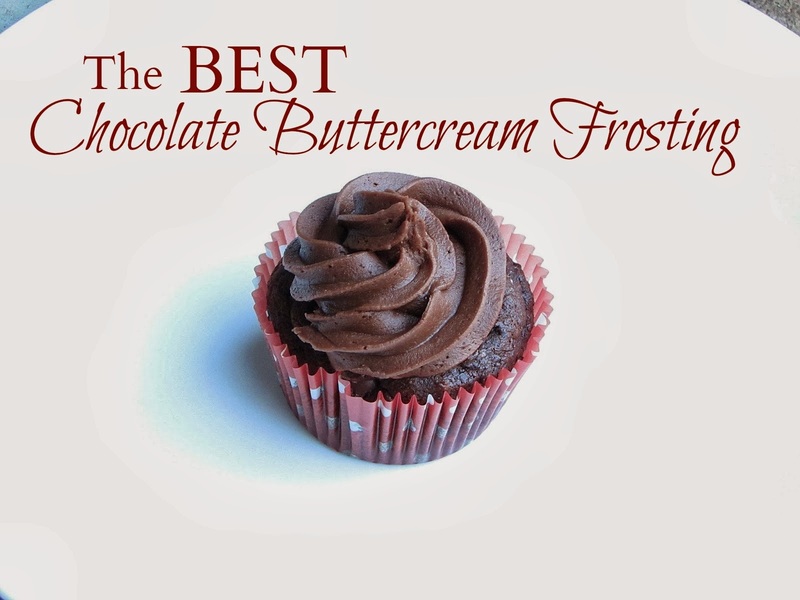 Today I'm going to share with you my go to recipe for chocolate buttercream frosting. It's delicious and so easy to make. And it looks great piped on a double chocolate chip cupcake. 2 cups unsalted butter (4 sticks) at room temp. 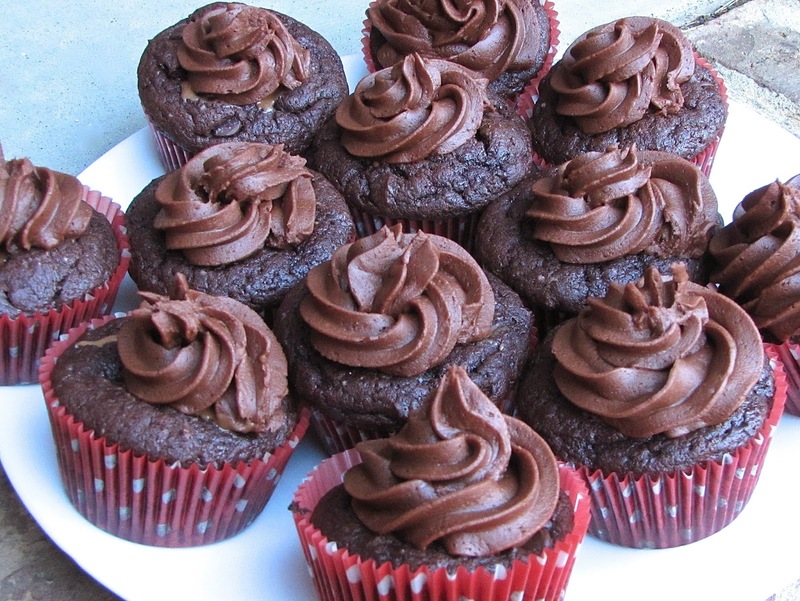 This recipe makes a ton of frosting so if you are only making one batch of cupcakes you may need to cut it in half. Place room temperature butter and vanilla into a stand mixer and beat at medium-high for about three minutes. You want it to appear lighter and fluffier. With the mixer off, add in one cup of the powdered sugar and cocoa mixture. Turn mixer on low and slowly add in remaining powdered sugar mixture, one cup at a time. With mixer still on low, add in milk. Turn mixer to medium high and blend for at least two minutes. 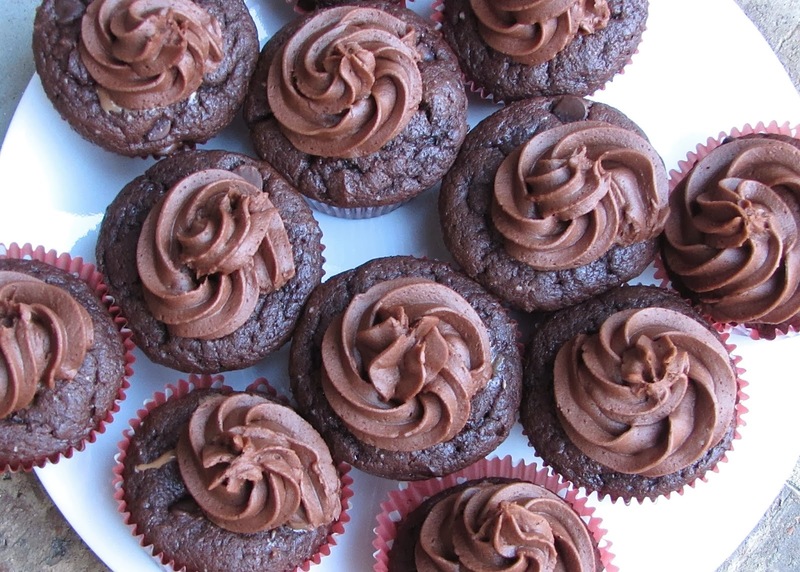 Frosting will appear very light, but it will darken as it sets. If I'm planning to use this for a party sometimes I make it a few days in advance and store it in the refrigerator. I just set it out on the counter and let it warm back up to room temperature before frosting. Delish!